JUSTIN HILL LIVES IN HONG KONG. He was born on Grand Bahama Island in 1971 and was brought up in York. 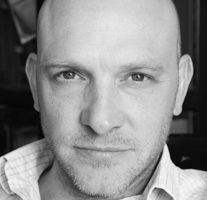 He is the author of five books and winner of the Geoffrey Faber Memorial Prize, the Betty Trask and Somerset Maugham Awards, as well as being shortlisted and nominated for a host of other awards, including the Booker. The Drink and Dream Teahouse (Phoenix, 2002) was picked by the Washington Post as one of the best novels of 2001. Shieldwall (Little, Brown, 2011) is the first of the Conquest Series, which chronicles the events surrounding the Battle of Hastings, in 1066. It was a Sunday Times Book of the Year 2011. He doesn’t often write short fiction, but for Still he contributed a reflective story exploring the concept of doors and opportunities life offers. When I was nine I was in a rudimentary reading class. I didn’t like books and when I grew up I wanted to be a fireman. Then I read The Hobbit, and was smitten by the depth of Tolkien’s world. I followed up with Lord of the Rings, and after that I was decided: I wanted to make up stories of my own: and be a writer. You’re from the UK. How did you end up living in Hong Kong? I grew up in York, and all my friends at school were born in York District Hospital. I was born in the Bahamas, but came back to Yorkshire when I was three, and remembered almost nothing of my earliest years: except for looking at tropical fish through the glass bottom of a boat, and being at Disney, and going on Captain Nemo’s submarine. While all the family friends from the Bahamas kept travelling, we stayed in York. I was determined that as soon as I was able I was going to leave England and see the world. I played Dungeons and Dragons as a boy, and looking back, I was doing what heroes of most fantasy books did: I left kith and kin, and went on an adventure. My adventure was to go to rural China with VSO (Voluntary Service Overseas.) I was working with rural English teachers in a sleepy market town called Yuncheng. The nearest foreigner was 12 hours bus drive away. The summers were sizzling. In the winter temperatures plummeted to minus twenty. We had no heating, and I had to learn Chinese, and once, in the middle of winter, when I was wrapped up in scarves and padded jackets, I was once mistaken for a local Chinese.I loved working with VSO. It was perfect for my writing. I went from China to Eritrea, in East Africa, and then back to China. I spent seven years working as a volunteer, and was pretty sure that when I came home at the age of twenty nine that I was unemployable. When I was twenty three I wrote my first book, and it was published and so the challenge after that was to write better books. When I was twenty nine I finally came home, and wrote my first novel (The Drink and Dream Teahouse) while I was at Lancaster. It was a homage to China, and I thought I had left China behind. But life moves us round. My wife was from New York, and via a cottage in Connemara, we ended up coming back east. We went back to China, but it was different with children. There were risks I was happy to take myself, that seemed unnecessary, and so Hong Kong seemed like a good alternative. And Hong Kong has been good to us. But somewhere the future is a house in the hills north of York. All my family are still there, and I can’t think of a better place for children to grow up. I like the frankness of my fellow Yorkshire men: others mistake it for rudeness, but I like it. You know where you stand. If they don’t like something they’ll tell you. If they like something, then they’ll probably never say. You’re working on a trilogy about the Norman Conquest. Is this a lifetime ambition? Are you feeling homesick? Nostalgia seems to be a key part of my stories. I’ve always written about the place I just left, and while I had the idea for the novels about the Norman Conquest whilst lying in the bath in Ireland, we were about to leave for China. I don’t think it was an ambition: but I’ve found that it’s brought me much closer to my ‘roots’: which lie very much in Tolkien, and the kind of fantasy and sci fi writers I was reading when young. They brought me into role playing games and what Tolkien and Lewis named the ‘Nameless North’: I read the sagas, Beowulf, Bede, old English poems – and growing up in York, that literature spoke to me more profoundly than anything else I’ve read. They give me an odd feeling low in my gut. My early work was about China, and I felt a little strange writing about another culture. It’s refreshing and challenging for me to be writing about my own country. At the moment it feels like it might be my life’s work, or at least what is most popular with my readers. I’ve had a huge response for Shieldwall, which is a delight. I hope to keep going for as long as my readers keep buying. What drew you to the selected photograph? 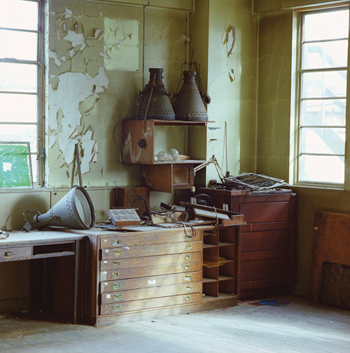 There is something intriguing about empty spaces, and especially abandoned spaces. It brought a ton of memories back, but all the time I felt as though I was looking through a doorway. I waited for a long time before writing, and the idea of writing a story about doorways came to me. Your story ‘Waiting’ is a mini Justin Hill autobiography, also focussing on doorways in relation to life and the opportunities it offers. Can you explain the thinking behind it? Are you working on an autobiography? One weekend I was working with some of the MFA students at City University, in Hong Kong, and had asked them to bring photographs from their lives with them. We were playing around with different orders, and different ways of telling stories. One of them had some photos of looking through windows and I immediately though of the picture that I ended up picking and thought of structuring a story around doorways. I was sitting down to write, when the Radio 4 piece came on, and I knew I was away: and started playing with ideas of memory and – I suppose – nostalgia! I combined it with a collage effect, where you start writing about three different things and as you keep writing then you start to see links within the story. It’s a really fun way to write, and a nice palate cleanser after writing historical fiction, which is much more about characters, events and actions. I’m not sure I’ve done enough to warrant an autobiography yet, but I like the idea of recording the world I grew up in: because time seems to accelerate, and the world has in many ways disappeared. For example, in China I think I lived through the end of the postal age. I wrote a letter to my family each week, and each week they wrote a letter to me, and it took a month for letters to arrive, and so it could take two months to get an answer to a question. This now, even to me, seems ridiculous. Do you enjoy the story format? Unlike most writers, I have come late to short stories. I wrote books first, and found them much easier than short stories. So I’ve written very few short stories, and certainly nothing so autobiographical. I’ve also never worked with another artist in this way, and found it very inspirational. I have a feeling it will lead to something longer. As I’m working on a series of narrative driven stories, this was immensely refreshing: to tell a non-linear story, where the drive is not narrative, but something more complex. Do you use images to generate ideas? I wrote ‘no’ at first, but then I looked around my office and saw that my office is full of images, and thinking about it, art has always been a way into writing. I’ve always thought that in the same way you know a Picasso, you should be able to pick up a book and know that this writer is a Chatwin, or a Borges, or a Marquez. It was years before I met another writer, and while I lived in China, most of my friends were from the Art Departments, so our conversations were about the things that we held in common. So when I started writing I wanted to pick a style that fitted China. In my twenty years in China I’ve collected a lot of Chinese scrolls: calligraphy and painting, and Chinese painting seems artistically similar to writing: in that most of the page is left blank, and the brush strokes create the impression of a ‘full picture’ while traditional Western art fills the page with detail and colour. So I have a collection of Chinese scrolls in my room, a Shenzhen oil copy of a Dutch painting of beached boats that has a huge sky, and then some postcards I’ve collected: a constant is Great Wave off Kanagawa, by Hokusai. I have a number of collections of Japanese prints. Some of them are A friend of mine is the artist Tim Ayres, who lives in Amsterdam, and his work, which combines text and image has always intrigued and fascinated me. I have a couple of his prints in my office. Have you collaborated with visual artists before? No, although a number of writers who are have come to me for advice, and the process has intrigued me. Writing is a particularly lonely activity, and it’s wonderful to bring someone else’s imagination or vision into the process. I’ve enjoyed it immensely: it has brought a new kind of story out of me, and so I’d like to keep going with this process. I work from home, on the 15th floor of a Hong Kong high-rise, with Radio 4 on the internet, although the UK is generally asleep while I am working, and it is the World Service playing. I have a great antique Chinese desk, and a Tiffany lamp, and an antique map of the North Riding of Yorkshire on my wall. It’s good, when so far from home, to see names of places that are intimately familiar. I live in a place called Discovery Bay, which is about as unlike people’s perceptions of Hong Kong as you can get. It’s on a different island. No cars are allowed. It’s pretty low residency, and akin to living in a village back home. It is small enough that you know most people enough to say hello. I set out a few years ago to write a series of books that covered the Battle of Hastings in 1066. What we ‘know’ about those events is largely an invention of the Norman conquerors. They remind me of the neo-cons of the 11th century: and the story of England’s conquest is much more interesting and complicated. 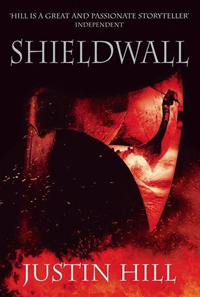 The first book, Shieldwall, came out two years ago to great acclaim, and the second, Hastings, will be out next year.